The annual Galion Alumni Basketball Tournament will be held at the new Galion High School and Middle School on Friday, May 23 and Saturday, May 24, 2008. Game times will be announced after the tournament field is set. This is a great opportunity to see some of the outstanding players of Galion and a great way to meet old classmates. The Galion Alumni Basketball Tournament is sponsored by the Galion Alumni Association. The event helps raise money for the Alumni Association’s many projects. For more information, click on the read more link. Needed: People to help perform various tasks on both of these days to make this a successful event. If you can give some time to help out, please contact Jim Hart (419-462-1754) or Brian Treish (419-468-2900). Tournament chairman Jim Hart, a 1997 Galion graduate, has teams from 1997, 1998. 1999, 2000, 2002, and 2004 already committed. He is looking to fill out the field with at least six more teams. The entry fee is $20 per player, with a team cap of $140. Anyone interested in forming an alumni team should contact Jim at 419-462-1754. A team captain’s meeting will be held Friday, May 16 at 7:00 p.m. at the Varsity Grill in Galion. This meeting is very important and will cover the tournament format and rules. The tournament is looking for some team sponsors. Team sponsors will provide tee shirts for players. Jim will be contacting area businesses for this vital sponsorship. The Alumni Association has been active supporting the schools and providing updates to graduates around the country. In 2007, the Alumni Association raised over $57,000 to complete the entryway to the new Galion City School campus. 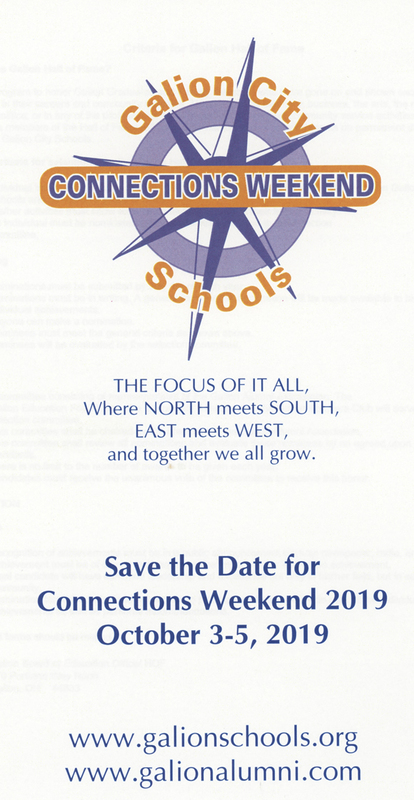 Plans are underway for a summer alumni picnic and for Homecoming 2008. 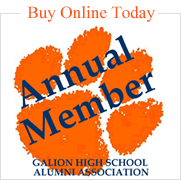 All former Galion students are welcome to join the Galion Alumni Association.